How can teenagers get a potentially lifesaving message out to their friends and make some extra cash? One great way is to create a Public Service Announcement (PSA) on the importance of safe driving. 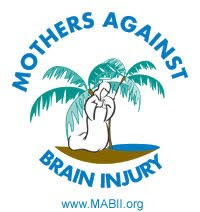 Thanks to an initiative started by Tracy Porter, Founder and Executive Director of Mothers Against Brain Injury, Inc. (MABII) and a partnership between the Allstate Foundation, teens from high schools in four counties in Northeast Florida have the opportunity to enter a contest to create a short video promoting the importance of safe driving and win a grand prize of $4,000 for the student creators and $4000 for their school in TV production equipment and computers. Not only that, the winning PSA will be shown on TV throughout the month of May. There are also runner-up prizes of $2000 and $1000 for the student creators and for their school in TV production equipment and computers. The prize money has been made available through a grant from the Allstate Foundation making this its fourth consecutive year of doing so. The deadline to enter is 9pm on April 19, 2011. So which driving subject should you focus on? You can choose any one, a combination of a couple or all of these critical issues related to driving: speeding, seatbelts, teen passengers, cell phone talking /texting, or any other distractions. The message should be 20 seconds; short, simple to understand, directed to other teens, and thought provoking. This contest encourages teens to research the facts on teen driving safety, observe how teens drive and be decide what would be the best and most creative way to ignite a change of unsafe driving practices. When it comes to judging, a panel of teens will assess which of the PSA's would most likely make them seriously consider changing their own driving habits when they drive or when they ride with another teen. What makes this project so great is that it's about friends telling friends the facts with their own voice, in their own environment and in their own way. Unsafe driving and distractions do not have to be the norm. So many teens see themselves as great drivers, but their friends don't always agree. Tracy Porter, Founder of MABII says, "In the last four years of hosting this PSA contest, I have learned something surprising from teenagers; they are less fearful of death as a consequence of unsafe driving practices than they are of being hurt, noticeably scarred, changed physically, being responsible for hurting a friend, or family member. This is information that should be used to help educate and empower teens to create a message targeting their own demographic." By changing the culture of what is acceptable among teen friends, lives can be saved and many tragedies avoided. All it takes are people to speak up and their voices to be heard. Driving safety is everyone’s business. Learn more about the Allstate Foundation's Teen Safe Driver Grant.